In one single silver glove: cleansing and skin regeneration glove, for your daily skin care routine and the well-being of your skin. The cleanser and makeup remover Q Derma Clean is the perfect solution for those people who are always in a hurry and still want a clean and healthy skin. With a simple touch makeup is removed and the skin is cleansed plus a natural anti-bacterial effect. All you need is a little bit of water to get your cleansing glove ready to be used. Q Derma Clean is the ultimate solution to get a clean and smooth skin without spending a penny more on makeup removers and cleansers. Say goodbye to all allergens and chemicals of skin care products. Q Derma Clean skin care silver glove deeply cleanses your skin in a natural way. 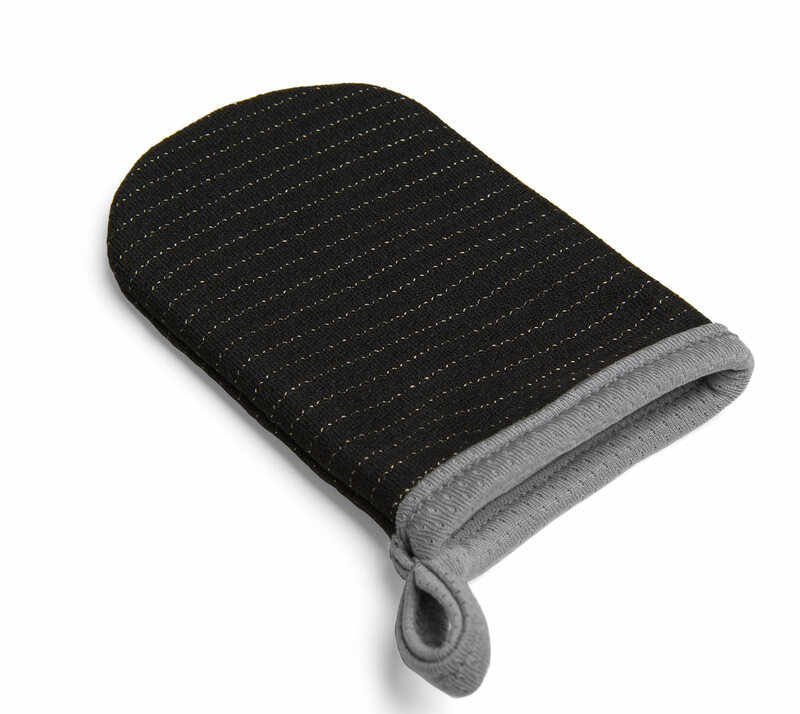 Exfoliating and skin regenerating glove in microfiber Silver Life 4% tissue. The exfoliating glove unclogs your skin pores with an exfoliating and naturally anti-bacterical action, removes the impurities and protects against the growth of pathogenic micro-organisms. 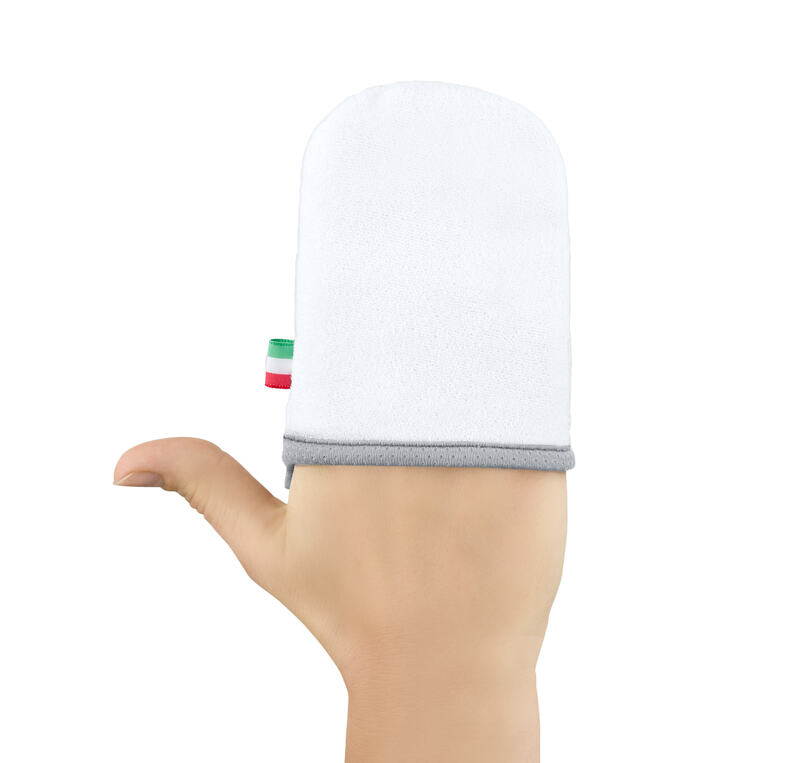 The exfoliating glove Q Derma Clean helps your skin breathing. The microfiber silver tissue naturally removes dead cells, purifying the skin, and improves cosmetic products penetration and treatment results. Not just an exfoliating and purifying glove, Q Derma Clean in silver tissue protects your skin from oxidative stress with an anti-aging effect and from skin weakness caused by toxins, chemicals, pollution. One product to replace all skin cleansers and make up removers for one year. Add a little bit of water and get rid of impurities and regenerate your skin in one touch. Q Derma Clean 100% reusable, limiting its environmental impact. Per essere sempre aggiornati sulle novità dal mondo del make-up, le ultime tendenze e le soluzioni più innovative per avere una pelle perfetta tutto l’anno.